A tribute to Caravaggio that marks the 400th anniversary of his death is being held at the Scuderie del Quirinale in Rome. The exhibit features masterpieces on loan from museums around the world, including Bacco, from the Uffizi Gallery in Florence, I Musici (The Musicians), on extraordinary loan from the Metropolitan Museum of New York, and Il Suonatore di Liuto (The Lute Player), from the Hermitage Museum in St. Petersburg. All paintings in the exhibit are universally attributed to the artist and highlight the various facets of the artist’s life and the fundamental role Caravaggio played in painting history. His ability to dramatically portray light and darkness – chiaroscuro – alludes to the style accredited to him called Tenebrism, from the Italian tenebroso (murky or gloomy), in which darkness is a dominating feature of the painting. 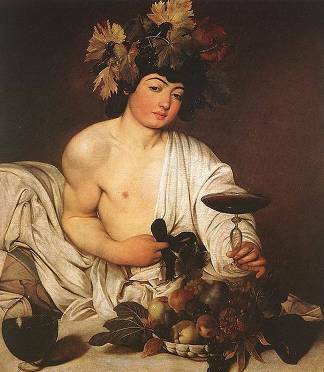 Born Michelangelo Merisi in Milan in 1571, the artist known as Caravaggio had a short tumultuous life that was reflected in his art. He died from malaria at Porto Ercole at the age of 38. Back in the days of the Italian lira, Italians were constantly reminded of his presence, as his portrait graced the front of the 100,000 lire banknote, while his painting of a fruit basket was on the reverse. 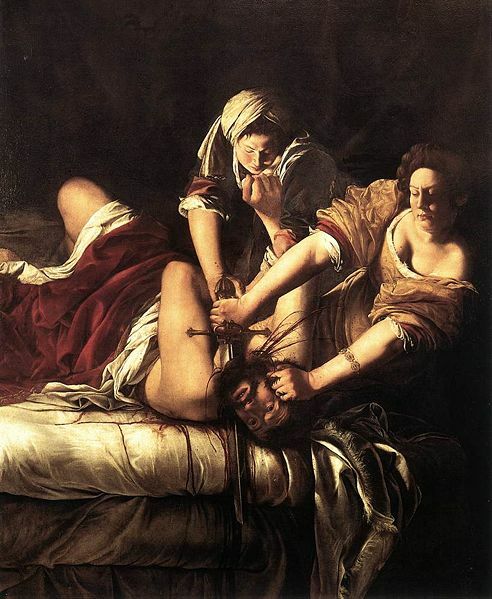 As a follow-up to the Caravaggio show, it is interesting to view the work of female painter Artemisia Gentileschi considered one of the most accomplished painters in the generation influenced by Caravaggio. You can find some of her work on permanent display in Florence at the Uffizi Gallery. 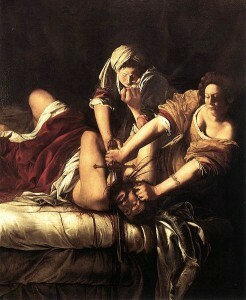 Judging by both her subject matter (Judith Beheading Holofernes) and her powerful painting style, she was a woman to be reckoned with, and not one you would want to meet in a dark alley. Rome, Scuderie del Quirinale, from February 20 to June 13, 2010.